“​The Gens de Couleur” by Stewart King, Ph.D.
"​The Gens de Couleur" by Stewart King, Ph.D.
King is Professor of History at Mount Angel Abbey in St. Benedict, Oregon. He is the author of Blue Coat or Powdered Wig: Free People of Color in Pre-revolutionary Saint Domingue (2007). 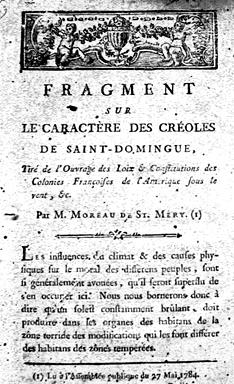 Saint-Domingue had between 20,000 and 30,000 free people of African descent in 1790 when the Haitian Revolution broke out. Some of them were wealthy planters who owned hundreds of slaves. 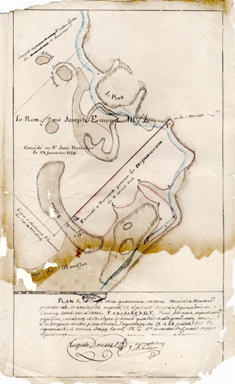 Often, these wealthy gens de couleur were mixed-race and lived with or near their white relatives, like Julien Raimond (1744-1801) who became a member of the French National Assembly during the Revolution and helped Toussaint Louverture write the first Haitian Constitution. 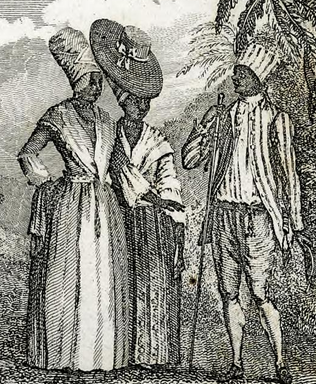 There were also some wealthy town-dwellers, such as merchant Anne Rossignol (1745?-1825), who was born in Gorée, Sénégal, came to Saint-Domingue as a free immigrant, and moved on to Florida after the revolution. Another prominent free colored city-dweller was merchant Vincent Ogé (1750-1790), who led an early uprising at the beginning of the Haitian Revolution calling for equal rights for free coloreds. Most free people of color, though, were working-class or peasants. Many worked as artisans or laborers in the towns, doing jobs that whites didn’t want to do themselves and couldn’t trust slaves to do. One such was Jean-Baptiste Belley (1748?-1806), who was brought as a slave to the island in the 1750s, learned the trade of wig making, earned enough to buy his freedom, became a community leader in the commercial capital of Cap Français, and then was elected to the French National Assembly after the revolution. Others had small farms or ranches in outlying districts, sometimes with a few slaves, producing mostly food crops. Much of the food consumed on the large plantations and in the towns came from these small "places à vivres" or market gardens, many operated by free coloreds. One very important contribution that free people of color made to the colony was to serve in its military. About two-thirds of the militia units in Saint-Domingue were made up of soldiers of color, as was the entire maréchaussée, or rural police, responsible for hunting down escaped slaves. When the revolution came, this military training proved essential as many of the military leaders of the rebel forces were pre-war free people of color who had served in the colony’s defense forces.